Published June 5, 2018 at 7:05 p.m. 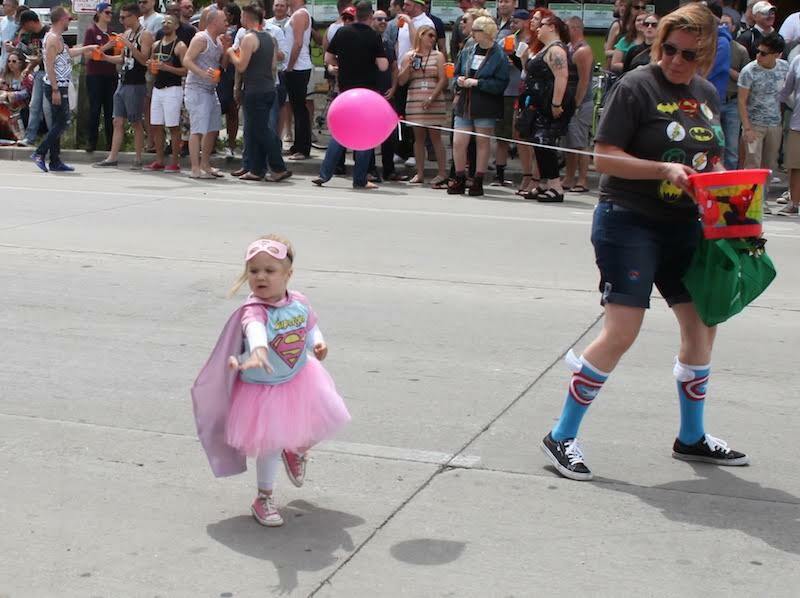 I started taking my sons to the Milwaukee Pride Parade when they were babies. By the time they were 5, it was one of their favorite events of the year. Mainly, because it allowed them to collect copious amounts of candy tossed with kisses from floats rolling down 2nd Street. But they adore the parade for reasons beyond sugar buzzes, like the music, the wigs, the bubbles, the glitter, the rainbows, the vivaciousness and, most of all, the warmth of the crowd and the parade participants. However, the most poignant part of the Pride Parade usually happens for us after the festivity, when my sons are sorting their candy – giving what they called "balloons and hand sanitizer" (ahem) to me and keeping all of the Jolly Ranchers, Tootsie Rolls and lollipops for themselves. This is when conversations around the concept of "love is love" and "love makes a family" happen organically. The messages of Pride are the tenets of our family, which is built from adoption, biology, divorce, forgiveness, loss, trust and, most of all, love. We are who we are. We might not look like other families – we don't have the same skin color nor the same last names – but it doesn't matter. Happiness matters. Love matters. Going to the parade matters – to so many of us for so many different reasons. 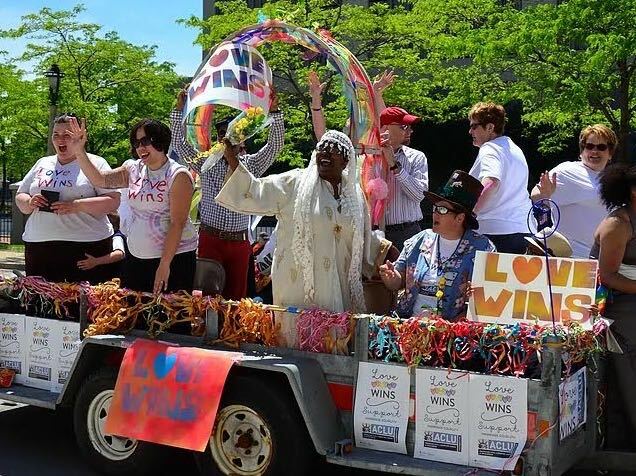 "We have seen a great change in parade attendance with a lot more families and animal rescues, as well as many other community groups that come out to support the community," says Brian Williams, Milwaukee Pride Parade's treasurer and a board member since 2004. But that said, PrideFest and the Pride Parade will always – first and foremost – serve as a celebration of Gay Pride. "Being proud of oneself is always a good thing, and taking pride in the loving, open LGBT community that has survived against all odds is key," says Bjorn Nassett, who will perform as BJ Daniels during PrideFest and also ride in Hamburger Mary's "Golden Girls" car during the parade. "To me, gay pride happens the moment people step out of the shadows and take their rightful place as members of society and the world at large. Cue the glitter cannon!" 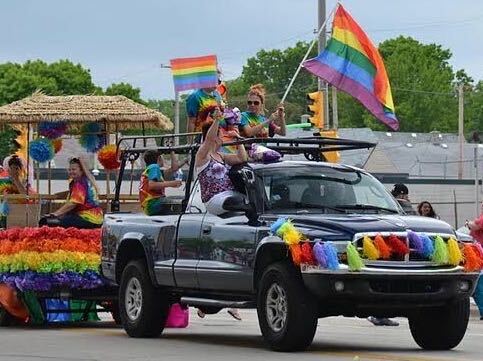 For the first time, OnMilwaukee is a sponsor of the Milwaukee Pride Parade – which takes place this Sunday, June 10 – and will also participate in the parade with a blue VW bus converted for the weekend to "The OnMilwaukee Love Bus." The parade starts at 2 p.m. moving northbound on Second Street from roughly Washington to Virginia Streets. The theme of the parade is "Remember the past, create the future" and will be co-marshaled by Milwaukee musician Lex Allen and DJ Shawna Nichols. 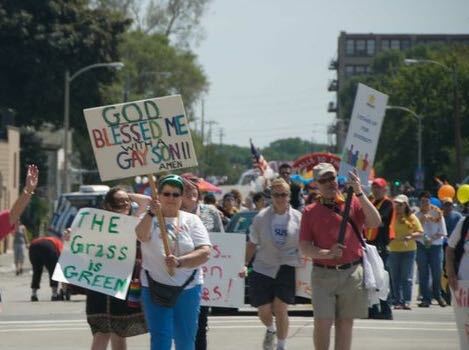 "Pride Fest and the Pride Parade bring so much love, joy and happiness to Milwaukee. The stories I have learned from people I have met throughout the years that I have been a part of Milwaukee Pride are astounding," says Nichols. "People from all over come to Pride; whether they have been out for decades, are struggling with coming to terms with their sexuality, are fearful, or allies, the amount of love and acceptance Milwaukee Pride offers for a long weekend will leave your heart feeling full." Originally, the Pride Parade was funded by PrideFest, but in 2004 it became an independent entity supported by the now-defunct Outbound Magazine and business owners. "We raised all money for the parade from fundraisers – many in LGBTQ bars – such as the selling of mini flag banners," says Williams. 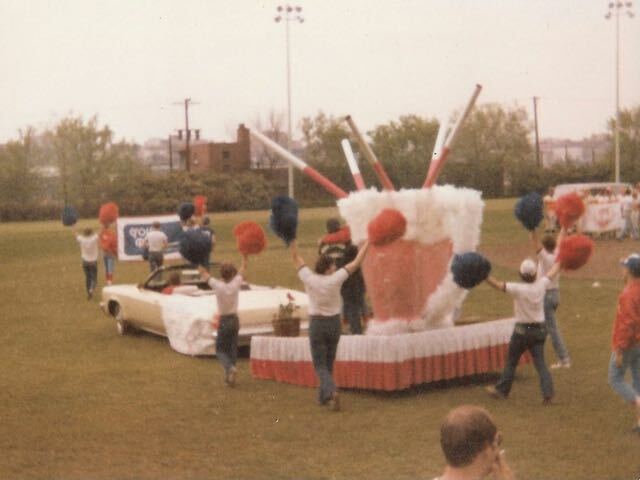 "Since then, the parade has grown tremendously. We have 70+ entries this year and I am always excited to see what the participants put together to show off Pride." The Milwaukee Pride Parade continues to operate as a separate organization with its own Board of Directors, volunteers, donors and sponsors. 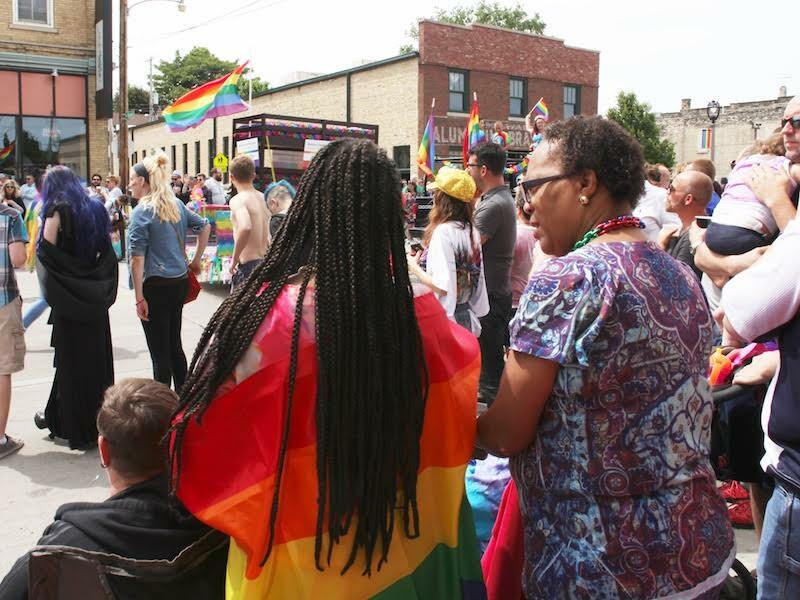 However, the Milwaukee Pride Parade and PrideFest Milwaukee remain deeply connected. Milwaukee Pride has an entry in the Pride Parade, featuring 2018 Valor Award winner Nikko Nelson and a fleet of nearly 100 parade walkers. The organization also provides shuttle service to the parade from the festival grounds, to make it possible for people to participate in both events. "While we are separate organizations, we work very closely with the Parade Board to ensure that we collaborate however and whenever possible, and complement each other's operations," says Michail Takach the Vice President of Communications for Milwaukee Pride, Inc.
Takach joined the Board of Directors as the social media manager in 2010 and now oversees all of marketing, communications and media. After eight years, he is the most senior member of the Board. "We are proud to be neighborhood partners with the Milwaukee Pride Parade in creating a memorable and meaningful experience for our city, each and every Pride Sunday," says Takach. 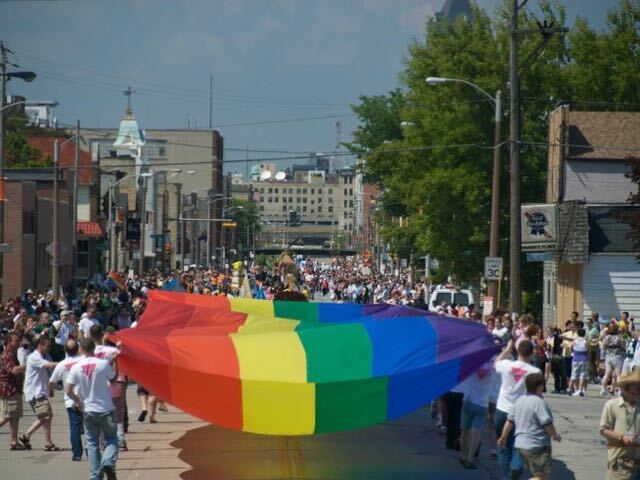 Milwaukee's PrideFest is the only LGBTQ-pride festival in the world with its own permanent festival grounds, attracts more than 40,000 people annually and is owed and operated entirely by volunteers, as is the parade. This year, the celebration starts a day earlier than usual, and runs from Thursday, June 7 through Sunday, June 10 on the Henry Meier Festival Grounds. 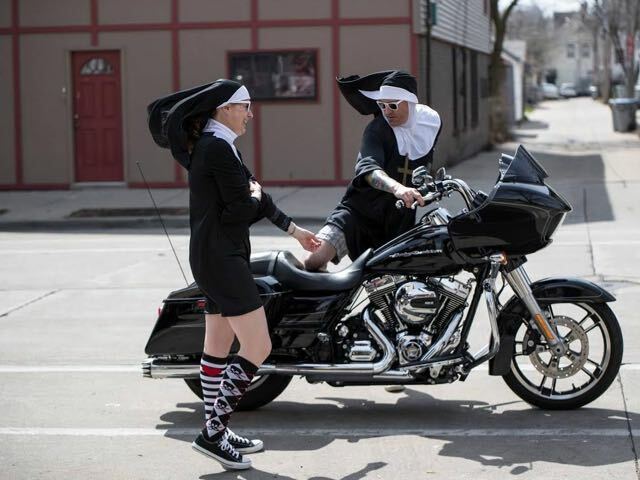 There will also be a group motorcycle ride, called Ride for Pride, on Saturday, June 9. Also new this year is Milwaukee Pride's "Gone But Not Forgotten" fundraiser featuring T-shirts emblazoned with logos from now-defunct gay bars that will be for sale. Proceeds will go to the 2019 Pride Parade. The very-limited-edition shirts will only be for sale at the 2018 PrideFest Milwaukee. 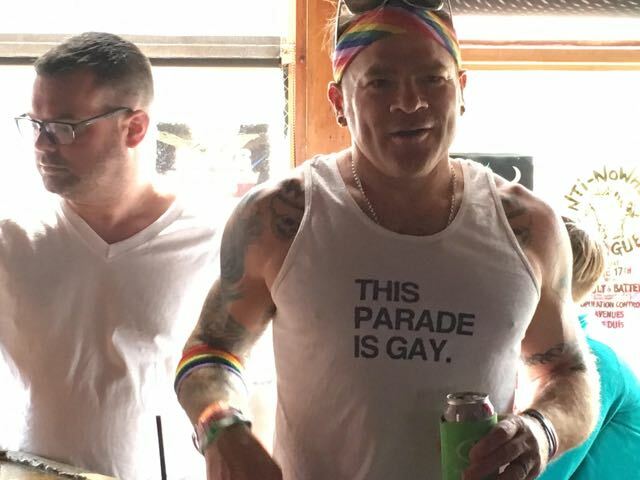 "Although many LGBTQ bars have vanished from the parade route, Milwaukee Pride launched a fundraiser to raise awareness of the historic "gayborhood," and the spaces that used to be part of the Milwaukee LGBTQ community," says Takach. "We've resurrected seven historic gay bar brand logos. These places were an enormous source of pride long before there was a PrideFest or a Pride Parade, and we honor the pioneers who took a stand for LGBTQ people in less tolerant times. We're bringing back these brands to remind people how far we've come." So whoever your family is, whatever they look like or stand for – as long as it's rooted in love – grab them, celebrate them and show them off at Milwaukee Pride Fest and the Milwaukee Pride Parade. "These events celebrate so many aspects of our community and ultimately bring a diverse group of people together. It's quite a sight to see people coming together," says Wes Shaver, President of Milwaukee Pride, Inc. "It's like one big family."